Ball Field Lessons in Listening|Radiant Prof. Srvc. It is the simple things in life that can carry some terrific examples of human processes. To understand how to be a better listener, for instance, we learn volumes from attending to a baseball game and watching the catcher. 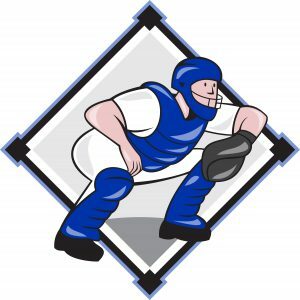 Sometimes thought of as a boring job, the catcher’s typical posture is squatting behind home plate waiting for the pitch. His job is simple, and that is to catch the ball. That is it. For now, take the batter out of the image (although he too belongs in this metaphor) and we have an excellent model of a single exchange in communication. The pitcher has a message to deliver – the ball. His job is to get that ball to that pitcher, past any obstacles, and still deliver it as safely to the catcher as possible. The catcher has one and only one job, and that is to catch the ball thrown to him. It may come from anywhere the ball may go, though his first attention goes to the pitcher. To do that, the catcher engages in three steps. The first step the catcher must do is to be in the right place and have a posture to receive. If the pitcher is not behind the home plate and not in a position to receive, then when the pitch comes, he will have a more difficult time. As listeners, a posture and position of listening is also helpful. We must be ready to hear what is said and to signal the speaker with our stance. The catcher squats down, but the listener leans toward the speaker. The catcher and listener both nod and make eye contact to signal they are ready to receive. The second step is to catch the ball. Sounds simple but both listening and catching can be harder than it seems. The pitch may be hard, or come in from a curve. It may be a wild pitch, and you have to step out of your box to catch it. It may even be a weak delivery, and you have to pick it up when it bounces. The listener too should be ready for the painful remarks without flinching at the ones that may come in from left field or a curve and may have to help when the messenger sends it poorly. The listener has an opportunity to catch the message whether the message is well or poorly delivered. When the catcher misses the ball, his is also typically the one who has to chases it down. Learn to not be the listener that takes only the easy messages but be the one who is known for hearing and understanding even the though speakers. Then there is the return. The catcher never just keeps the ball but will return it to the pitcher to be ready for the next one or relayed to the next player to act on. Give feedback to the pitcher by returning the same ball or continue to deliver the message where it is needed. 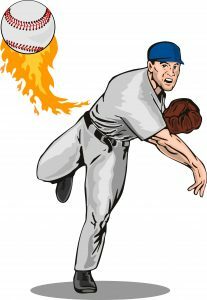 The pitcher may take a minute to plan and wind up before the throw, but the catcher’s job is to respond briefly and quickly. He just returns to the pitcher as if to acknowledge the pitch. If the ball is damaged, the catcher may return a fresh one to keep the game going. So it goes with the listener. Give feedback to the speaker by replying in a way that confirms the ball/message was safely received. If the message was unclear, by handing back a fresh version of the message, the speaker is set back on track, and the next pitch may be better. If the information needs to be relayed, do so promptly with accuracy and precision. Finally, the catcher becomes the guardian of Home by virtue of his ability to capture and stand his ground. This is not an aggressive action but one of receiving the ball and holding fast when challenged. So when you receive your message that belongs to your team, when challenged know when to hold on tight to that message and know when it needs to go on to others. There is a great deal of efforts in communication, and there is terrific pressure on the pitcher. But not everyone fills the role of the pitcher, but we all can catch the ball. In fact, one would not have a ball to pitch unless they first received it from someone else. Your future message as a speaker cannot develop without first listening to others. May you be a better catcher to one day be a better pitcher. This above is a sample from the book CYA+: Complete Your Accountability. Order your copy now.